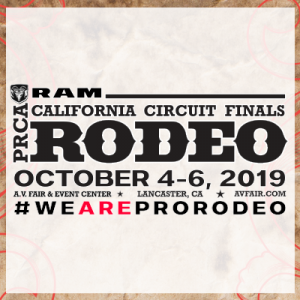 Sandy Travis, a long time resident of Tehachapi, will bring her special tribute to Breast Cancer Awareness to The Ram California Finals Rodeo during the Opening Ceremonies for Friday Night's Performance. 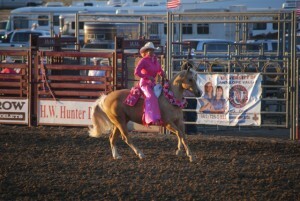 Sandy, who is deeply passionate about this cause, performs a breath taking, bridle-less performance to help raise money and awareness for Breast Cancer Research. Sandy will donate a portion of the proceeds to the event's cancer charity of choice. 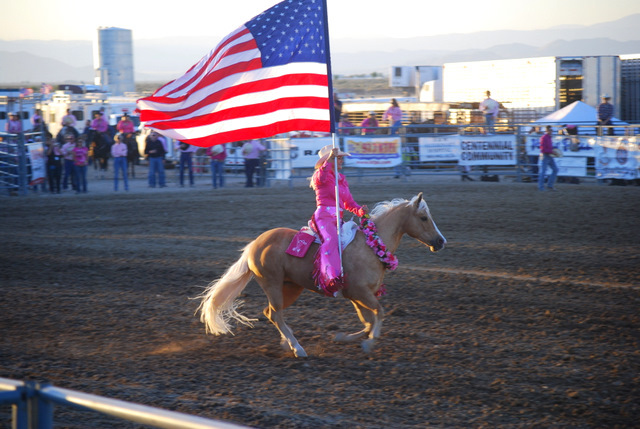 Sandy, along with her Quarter Horse Shining Hollywood, will appear at the 97.7 KTPI Corral after the show, where she will be available for autographs. H.W. Hunter Dodge - "RAM of the West"